We may not like thinking about it and we certainly don’t like talking about it, but the reality is simply this: we are all going to die. We don’t know how. We don’t know when. And still, death will come for us all. January’s “Second Saturday Documentary” invites us to get past our denial and engage with this reality. 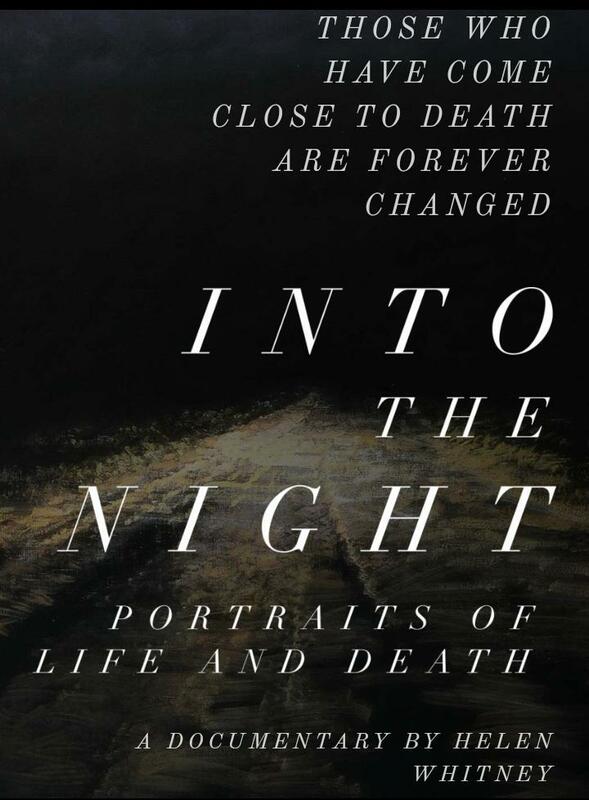 Into the Night: Portraits of Life and Death, by Director Helen Whitney, explores the various ways we think about death – not death in general, but our own death in particular. It invites us to seek an answer to the great unanswered question, How do we live with death in our eye? Into the Night features nine fascinating men and women from all walks of life, all ages, believers and unbelievers, well-known and obscure. For them, death is no longer an abstraction. Whether through a dire prognosis, the imminence of their own death, the loss of a loved one, a sudden epiphany, or a temperament born to question, these are people who have truly awakened to their mortality. A free screening of the documentary will be held on Saturday, January 12, at 1:30 p.m., in the sanctuary. The screening will be followed by a discussion, led by the Rev. Tim Weible, a Board Certified Chaplain currently serving with a hospice agency in the Bay Area. Into the Night creates a safe, smart place that allows us to talk about a subject of universal importance. It is the conversation we yearn to have, but too often turn away from in fear and distress. Yet our culture is at a critical turning point, driven in part by the baby boomer generation that is insisting on a new openness and on this deeper conversation.